I have the good fortune every day of seeing the work unfold across the amazing community of connected educators in the district where I work. They seek to understand contemporary learners and to offer learning opportunities that match the interests and passions of young people. It’s always a challenge when the prescriptive standards and state testing regimen of the last two decades continues relatively unabated. Yet, connected educators understand the importance of kids working beyond the walls of their classrooms, their schools and even beyond the boundaries of their communities, states, and nation. They see how kids use technology to search, connect, communicate, and make. John Martin of SIR recently described one way young people differ from their parents. We’ve all seen children who live on their mobile devices – in homes, cafes, at school, shopping in the mall, and at social events. From John’s point of view, while Boomers and Gen X-ers live their experiences, Millennials share their experiences. It differentiates us. It also brings us together. Connected educators realize that sharing the experience represents how young people process the world, community, friends, and learning differently today than when we once were the “youth” generation living experiences in our own way. As a result of observing and noticing this new experiential paradigm, savvy teachers use their understanding of young people to design and plan user experiences in response to today’s youth. Create multi-age connectivity. 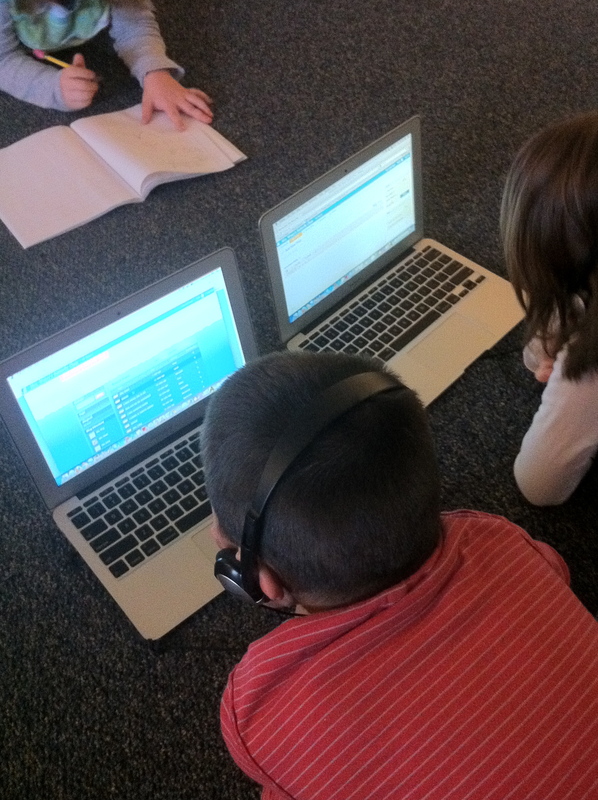 5th graders teaching 4th graders how to use Google apps? 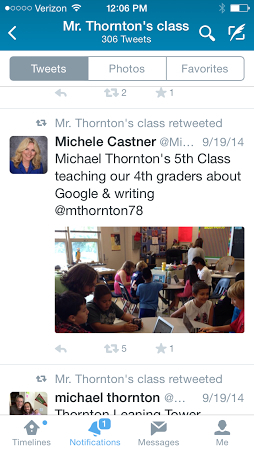 When I saw this tweet about @mthornton78 by his school’s principal, I was struck that he’s using what we’ve long known about the value of multi-age learning even as he supports children to create and sustain connectivity with each other as a community of learners, regardless of grade level designation. Children of different ages together learn differently than single age classes. Connected educators link older and younger kids inside and outside school. Value learners’ entrepreneurial spirit, online and otherwise. Middle schoolers wanting to give back to their school? 8th graders in @ebredder’s and munseyclass ‘s interdisciplinary tech ed and science classes decided they wanted to transform their tech ed classroom for future learners. 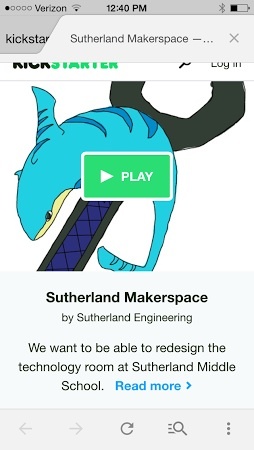 They knew it would take funding so they went to KickStarter with their project. Even though they are now 9th graders, they’re invested in seeing this project to completion. Connected educators help connected learners find pathways to personal agency, a sense of empathy, as they work to find solutions to problems of interest to them. Honor the power of authentic global audiences for passion-driven project work that needs far more than a class presentation and a grade. Why not encourage young musicians to write music to share with the world? 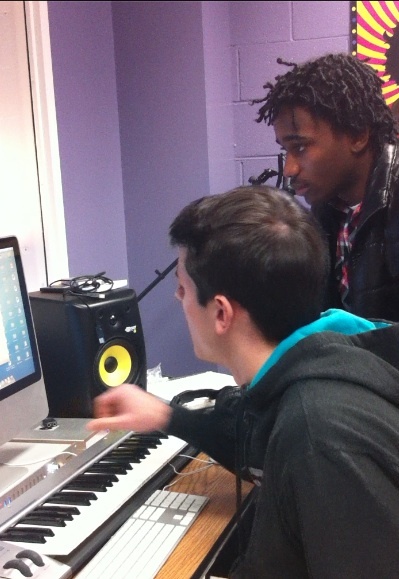 @mrgloverMHS understands that high school students love to create. They also love music. Put the two together and you have kids who write lyrics, construct beats, record their music, and share it with the world. In doing so, they become authors, poets, composers, producers, performers, and marketers of their own work. It’s a pathway to careers, lifelong avocations, and friendships they never expected. Recognize that young people have voices of influence and expertise outside their school. 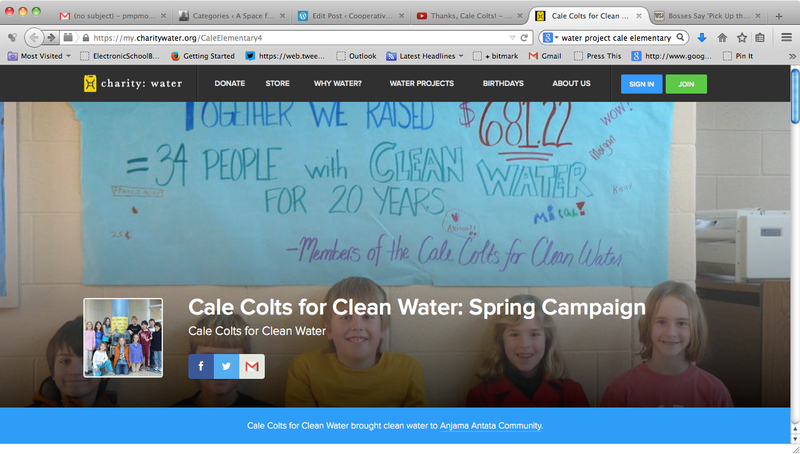 How might a group of third grade @calecolts raise over six thousand dollars to support Charity: water projects in a third world country? Blog it, of course. Savvy teachers know elementary students are capable of influencing peers, teachers, parents, and even the greater community. Tapping into the Internet isn’t just about accessing expertise beyond school, it’s also about young people becoming a source of influence and expertise within the global network. Teachers use many different connected learning strategies to support learners in both formal and informal learning experiences. Young people interact naturally with contemporary tools that provide “in the moment” access to research knowledge and produce content. Connectivity allows learners to add context to content. There are so many examples of how young people informally make learning happen. There’s Jeff* who started his own weather center in high school and now creates his own school TV, weather show, local twitter weather feed, and YouTube channel. Sam* who has created his own logo company. And Anna* who wants to start her own culinary line of snacks, marketed online of course. Executive Director of the Virginia School Consortium for Learning: We create paths to contemporary learning by supporting participants from member divisions to engage in critical inquiry to develop curriculum, assessment, and Instruction consistent with a focus on supporting learners to acquire competencies of critical thinking, communication, citizenship, collaboration, and creativity. Pamela, I loved what you had to say. I liked how you used real examples to “connect” it better to your post. I myself like how the teachers have put two things together to interest the students better. Good post. My name is Lydia Lynch. I am a student in EDM310 at the University of South Alabama. I will be posting a summary of your post and my comment on a post for my blog. You will be able to see the post no later than April 12th on my blog lynchlydiaedm310@blogspot.com. You can email me at lydiaruth118@gmail.com or follow me on Twitter at @lydiaruth118. I love this post! One thing that stuck out to me the most was that students have voices and expertise outside of the classroom and school. I believe that connected learners have the ability to go above and beyond what we would expect to happen in a normal classroom environment. When given opportunities to connect with people globally students learn a sense of purpose other than trying to get a good grade.